Rookie sensation Elias Pettersson has taken the hockey world by storm. His talent has been on full display with the Vancouver Canucks. He has been a real treat to watch since entering the league and legends of the game are noticing the skill Pettersson possesses. We knew how talented the young forward from Sweden would be, but his electric start to the season has the entire league keeping a close eye on him. Yep, Wayne Gretzky appeared on Sportsnet 650 earlier this morning to talk hockey. 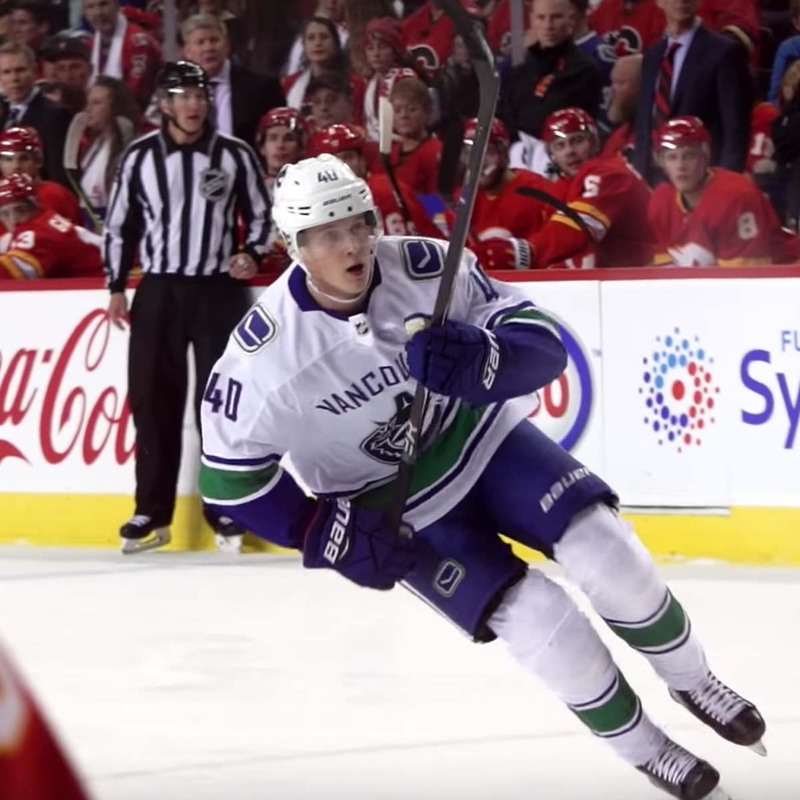 Since the radio station is located in Vancouver, Pettersson and the Canucks were a hot topic. When asked about Pettersson, Gretzky mentioned how the young Swede had a lot of similarities to himself during his playing days. Gretzky glorified Pettersson’s hockey sense and playmaking abilities. Gretzky on Pettersson part deux: Comparisons are what sports are all about. From my point of view he has a lot of my similarities. His hockey sense and play making abilities are as good as any one right now. Those comments hold some serious weight, considering Gretzky is one of the greatest playmakers of all time and his hockey sense is unmatched. Gretzky also mentioned Pettersson’s passion for the game, saying that he is “fun to watch” and that seeing this young man come in and excite the crowd is positive for the game. Gretzky on Pettersson: To see this young man come in and excite the crowd and put on a show every night is nothing but a positive for our game. I have had a chance to see him a few times and he is so fun to watch and plays with so much passion. The Great One went on to say that good things are coming to Vancouver, as the team is equipped with a strong core of younger guys. Gretzky on Pettersson part trois: He is so smart and knows where to put himself on the ice. The smarts are just so developed already People in Vancouver have to be excited because there is a strong core of younger guys and good things are coming to that city. 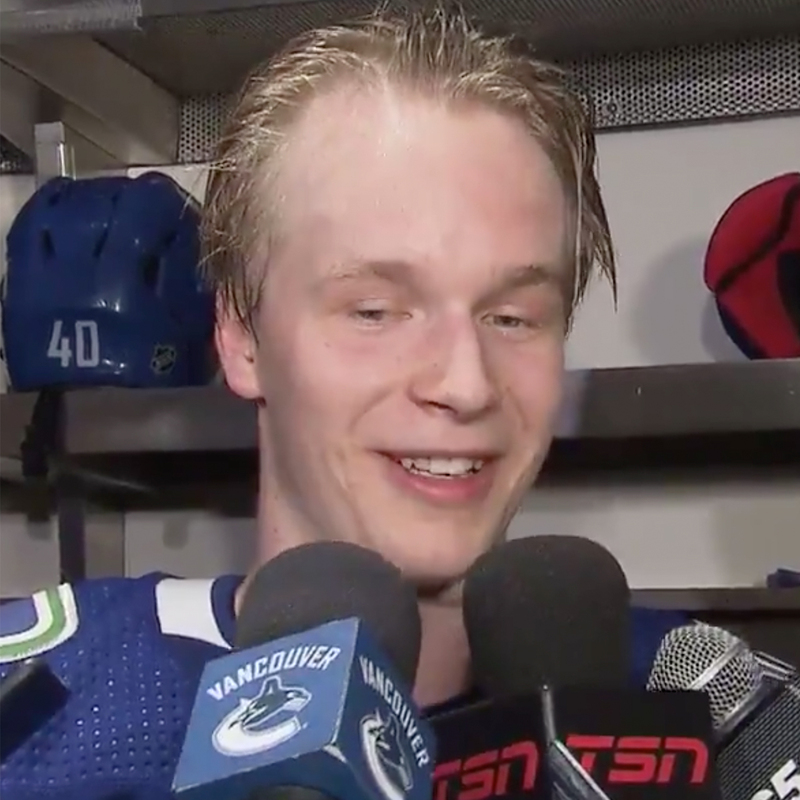 Pettersson has been a thrilling player to watch and to have the GOAT of the game compliment you surely makes EP feel special. Vancouver will take on one of Gretzky’s former teams tonight as the Canucks are in New York to challenge the Rangers.